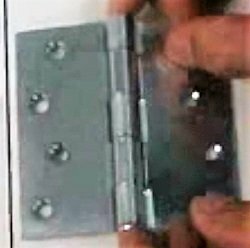 Check out the many advantages of Air Safe Hitches over all other Air Hitches . We eliminate all the shock so that your drive feels smooth and you arrive safely. 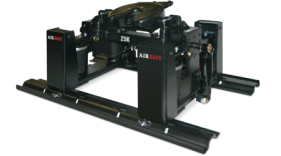 AIRSAFE™ offers the industry’s largest selection of air hitches from Air Hitch Technology. Innovation and engineering ensure you receive the safest and smoothest ride. Why pay more at the dealer or manufacturer when you can get a reduced price from the #1 online retailer of AirSafe hitches? 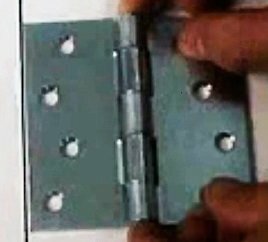 We sell more AirSafe Hitches than all others combined. 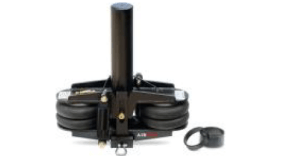 We sell the complete line of AIRSAFE™ Hitches (5th Wheels, Goosenecks, and Receivers) from Air Hitch Technology, which we sell throughout the US and Canada, as well as other international locations. We work with you to get the best price and value for your purchase. We have over 14 years of expertise in air hitches and can assist you with the product that meets your needs and explains how we compare to others. We are not just here to sell you a hitch but to provide a full customer service, from your initial inquiry, product selection, sales process and follow-up support if you have our product. We look forward to hearing from you. This picture demonstrates the chucking motion caused when the truck and trailer are bouncing on the road. As the truck and trailer travel down the road, each bounce causes the push/pull motion (hinge effect) and you get the chucking motion. Why Use An Air Hitch? AirSafe is committed to giving you the safest and most comfortable ride possible. We offer the largest selection of air hitches in the industry, including 5th wheel hitches, gooseneck hitches, and receiver hitches for trailer hitches for trucks. Our hitches utilize the most innovative engineering and design available on the market today. With a fully height adjustable design, AirSafe hitches are easy to use and don’t cause any headaches. 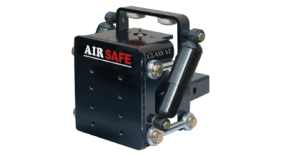 Air Safe Hitches also delivers the ultimate in safety. With only 10% trailer inertia, our hitches make your vehicles sway a lot less. By evenly distributing the weight between the trailer and the tow vehicle, you will have more ability to brake and steer safely. AirSafe Hitches are the safest way to tow anything, and they provide the most comfort of any ride. If that isn’t enough to convince you, these hitches are also affordable. With AirSafe Hitches, you get safety, comfort, and savings all in one. The tow vehicle and trailer independently giving you greater control and added safety, virtually eliminating all sway. Greatly increased braking control since all the weight on the tow vehicle and trailer is distributed evenly giving you increased positive contact when braking and maneuvering. Bumps, potholes, expansion joints, curves, hills, and other drivers can be a hazard. Air Hitch keeps you under control when confronted with these conditions. The 90% smoother ride allows you to glide instead of bounce increasing gas mileage and tire wear. Reduce trailer and content fatigue. Metal fatigue caused by traditional towing results in your trailer and its contents taking a beating. Air Hitch products increase life and help hold value. Severe force is placed on the sliding mechanism. That is why we use self-lubricating and high-strength Nyloil to absorb shock, torque and heavy load. Bearings will crush while ours simply slide. Reduce driver fatigue to help ensure everyone (family, friends, pets, horses, and livestock) arrive alive. Offers a 2 Year Warranty and a thirty-days return policy in order to have time to tow with our product and experience the reduction of transference allowing positive towing benefits regardless of any road conditions.